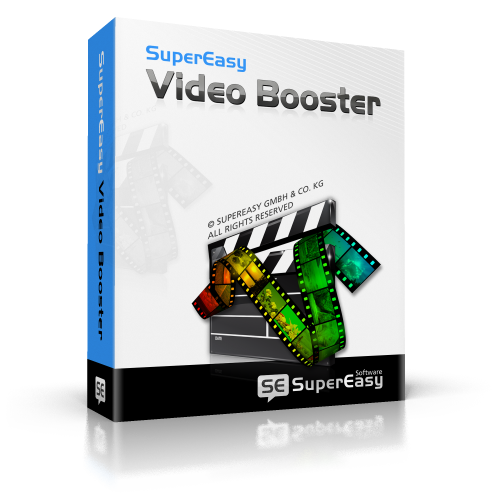 SuperEasy Video Booster from SuperEasy GmbH is capable tool bring back the quality in self-made or downloaded videos. Often bad weather conditions, low quality digital cameras and camcorders and also several compression procedures can make your favorite videos a mess. But that to the quality algorithm in SuperEasy Video Booster, you can see the magic back in your videos. It automatically corrects the loss in quality loss in the videos by readjustment of tonality, sharpness, contrast, hue control and saturation. You need to have much technical knowledge to use this software because it does most of the job in just a click. It does the optimization simultaneously with several videos. You can also manually adjust videos by previewing the videos before and after in real-time. This software is definitely worth a try considering its price of 19.95 USD. Moreover you can get this software Free for 72 hours on the occasion of Birthday celebrations of Insights in Technology. 22.7 Mb installer signed by SuperEasy Software GmbH & Co. KG can be downloaded from the DIRECT LINK. Software is available in four languages: German, English, Polski & Georgian. Supports common video formats namely, DVD-Video, AVI, WMV, MP4, 3GP, MPG, Video_TS and more. Boosted videos can exported as AVI, MP4, MPG and more such video formats. The software can run under following system requirements. SuperEasy Video Booster costs 19.95 USD and can be purchased using THIS LINK. Thanks to Angela from Ashampoo, I can giveaway unlimited licenses of SuperEasy Video Booster for 72 hours. Sounds interesting? Just use the following direct links to download the Giveaway Version of the software. At the end of installation you will get the option to register for a Free license. You can get free license for 72 hours from 10th March, 2013, 12 hrs GMT. This entry was posted in Free Offers, Giveaway, Software, Video Management, Windows and tagged Valentine Week Giveaways. Giveaway download link says Full versions are no longer available. Thank you both Sujay and Angela for the nice giveaway. Thanks Sujay, but it doesn’t work. When I tried to get the license it said, “EXPIRED: SuperEasy Video Booster for free /Full versions are no more available.”. I am told the free versions are no long available, on the first day? Sorry for the trouble guys. I have contacted Ashampoo. May be you will soon get to see the link acting properly. Working fine now Sujay. Thank you & Happy Birthday Insights in Technology. Love Ya !